There’s a lot of talk surrounding NetherRealm Studios’ Mortal Kombat 11, which releases later this month. But we shouldn’t ignore the team’s previous work on the DC Comics-themed brawler Injustice 2. Since its release in summer 2017, it brought some amazing fighting action to its fans. Not to mention its roster of downloadable guest stars, such as Hellboy and the Teenage Mutant Ninja Turtles. This was something that was on Boon’s mind before the game’s release. He initially had the idea to bring Neo into the Injustice fold, which came with an interesting caveat. 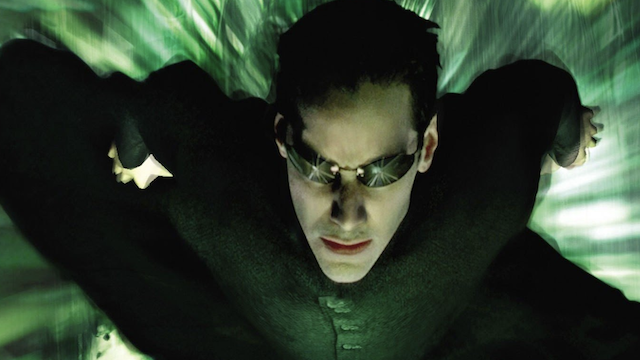 Keanu Reeves has said in the past that he didn’t want to play Neo again. Therefore, Boon playfully posted a poll asking who should portray Neo in the game. As you can see, fans voted for a very obvious choice: Boon himself. If Keanu wouldn’t want to be Neo in Injustice 2, who should we have as Neo? Afterwards, fans shared strong opions about Neo joining the ranks, while pushing for characters like Spawn and Constantine. However, it simply didn’t happen. Regardless, Injustice 2 has a strong roster with Hellboy and the TMNT as guest characters. Mortal Kombat 11 could also have a few interesting guest characters over the course of this year. We’re not likely to see Neo, but we’re still pulling for Spawn to join the lineup. Injustice 2 is available for Xbox One, PC and PlayStation 4. Mortal Kombat 11 will hit consoles and PC on April 23. How do you think Neo would have fared as a fighter in Injustice 2? Let us know in the comments below!